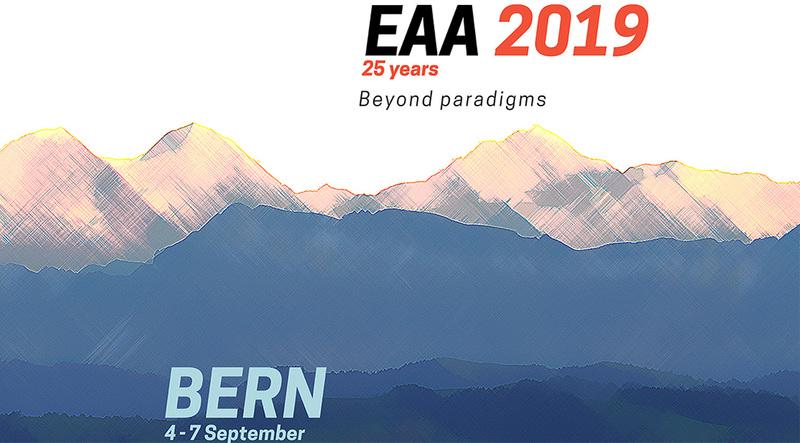 Welcome to the registration module for the 25th Annual Meeting of the EAA that takes place in Bern, Switzerland, from 4 to 7 September 2019. Annual Meeting registration can only be done via this digital form. Please note that only current EAA members can register for the Annual Meeting (n.b. : for the sake of Annual Meeting registration, current members are those who have paid their membership for 2019). If your membership is outdated, you will be asked to add your 2019 membership to the cart. If you are new to the EAA, please choose your membership type first. You can pay for your membership subscription separately, or you can continue with your Annual Meeting registration and pay for both in a single transaction. After you "Register yourself" you can then edit your profile for the Annual Meeting, ensuring that your personal details, particularly postal and e-mail address and organisational affiliation are filled in correctly. This information is important for our administration and badges. Please note that professional and personal titles will not be used for any purpose during the Annual Meeting. You may wish to add a guest (accompanying person) to your Annual Meeting registration. Please note that guests are allowed to attend social events only, not the scientific part of the Annual Meeting. You can also add programme items such as lunches, free social events, Annual Dinner and excursions for yourself and / or for your accompanying person (by switching to guest account). It is also possible to add the nominal payment for a printed copy of the Programme Book which will be printed on demand only. It will not be possible to buy the Programme Book at the Bern venue. In order to reduce the environmental impact of EAA Annual Meetings, the Abstract Book is no longer offered in printed version. The Programme and Abstract Book will be available online to all delegates prior to the Annual Meeting in downloadable pdf format. You can choose to register now and decide about your programme items at a later date, but note that there is a limited capacity for all social events and excursions. Grant application. You can apply for grant by adding "Grant application" to your programme and by filling the required information. You need to apply for the grant in the period from 26 March to 11 April, 23:59 CET. Succesfull applicants will be informed before 23 April 2019. For more information about grant selection criteria go to www.e-a-a.org/eaa2019/grants. For details about prices, deadlines, cancellation and more information, please check the tabs Deadlines and Registration policy. Please note that all prices are in Euro and some of the items include 7.7% VAT. Should you have any queries or should you wish to cancel an item from your programme itinerary, please contact the EAA Secretariat at helpdesk@e-a-a.org. 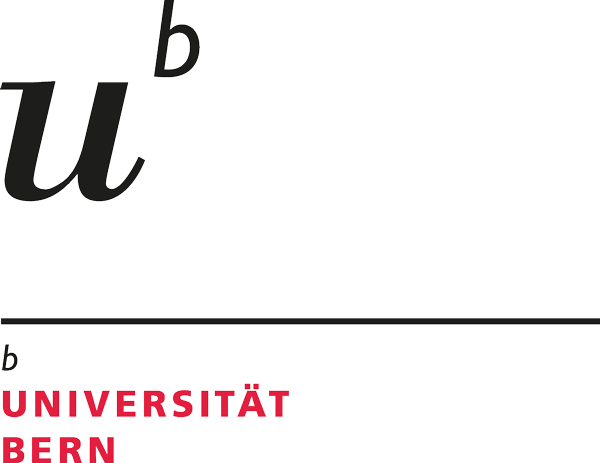 We are looking forward to meeting you in Bern! This five-day excursion leads through the famous Swiss mountainous canton of Graubünden and offers exciting insights into all areas of alpine archaeology from the Middle Stone Age to the 20th century. Visits include the cantonal capital Chur with its Rhaetian Museum, the prehistoric settlement- and the mining-landscape of Oberhalbstein, the alpine pass areas with relics of the Roman campaignin the Alpes and the famous Bronze Age spring of St. Moritz. Other highlights include the UNESCO World Heritage site of the Monastery Saint Johnin Müstair, the remains of the Alpine front during the First World War in the Stelvio-Umbrail region and the Lower Engadin with its millennia-old alpine cultural landscape. Participants will be guided by Thomas Reitmaier, archaeologist and director of the Archaeological Service of the canton of Graubünden. Augusta Raurica owes its existence to Gaius Julius Caesar’s strategic considerations. He ordered his general Lucius Munatius Plancus to establish a first colony directly on the river, in other words at the junction of the North-South / West-East road connections. The actual construction of the main town of the colony started around 15 BC. This one day excursion to Augusta Raurica consists of guided tours to Theatre, Temple on the Schönbühl hill, Forum, Curia, Subterranean well house, Museum with the silver treasure, Roman house, Trading house Schmidmatt, Kaiseraugst Fort, Rhine baths and Early church. FULLY BOOKED. This one day excursion invites you to discover the Celts and Helvetians of the Swiss plateau with the world-famous site of La Tène where hundreds of weapons and military ornaments were discovered in the middle of the nineteenth century, thus giving its name to the late Iron Age. The first stop is therefore the Neues Museum Biel (NMB) in the canton of Bern, where the most finds of this site are kept. Here a specialist will allow you to have a close insight on the objects and the way the site was discovered. Then off we go to the beach of La Tène for a view of the site and a well-deserved coffee-break. Afterwards, we will join the Mont Vully and meet our guide for an hour visit tour that will take you to Praz, an authentic village in the vineyard where a restaurant on the shore of the lake of Morat will host you for a typical Swiss dinner. The day will end with a talk on the perception that our antique and Celtic ancestors had of the sky, followed by an observation of the stars with professionals. If you wish to receive a printed copy of the Programme Book at the Annual Meeting, you need to pay a nominal fee in advance. It will not be possible to buy the Programme Book at the Annual Meeting venue. The Programme and Abstract Books will be available online to all delegates prior to the Annual Meeting in downloadable pdf format. In this half-day excursion, we will discover the prestigious Aventicum, capital of Roman Helvetia, which has maintained close links with Imperial Rome for several centuries. This guided tour will retrace the evolution of the city and its place in the Roman Empire. Whether in the museum or in the archaeological repositories, you will have the opportunity to discover unique objects illustrating the different powers present in society, religious, political and economic. At the heart of the exhibition, an interactive model and a film will immerse you in the history of Aventicum and the evolution of its territory. Finally, you will visit the ancient monuments in situ, remains of this great capital. This half-day excursion to the fortifications of the city of Fribourg will introduce you in the past and in the medieval history of this city. The immersion will take you on the steps of History, to discover the towers, round paths and surrounding walls that contribute to the treasures of the medieval city's heritage. With its sandstone cliffs and the meanders of the river Sarine, the topography was favourable for its defence as a natural barrier against possible invasions. The fortifications were thus built only on the west side of the city to form important and defensive surrounding walls. These various buildings form a most important example of medieval military architecture in Switzerland. Half-day excursion to Bern, a town founded around 1200 by the Dukes of Zähringen on a site which had not been occupied before. It was founded in the characteristic loop high above the river Aare. The initially rather insignificant city, however, rose rapidly and was from 1536 onwards the largest city state in Europe after Venice. It was primarily the wealth of the city since the 16th century that contributed to form today's cityscape. The archaeological-historical tour on the footsteps of the city's foundation and development shows how cleverly the city was planned, considering the special topography, and how much this planning still shapes the city today. The city tour will be guided by Dr. Armand Baeriswyl, the Middle Age expert at the Archaeological Service of the canton of Bern. FULLY BOOKED. Half-day excursion to Celtic oppidum, surrounded by an imposing rampart occupied from the 3rd to the 1st century BC a loop of the Aare north of the modern city of Bern. A zinc tablet found there bears the inscription in Celtic, revealing the name of this locality: Brenodorum. From the Tiefenau Station we will climb towards the Saint-Matthew Parish House where the objects found on the site are exhibited. Then, we will discover the theatre and the religious centre, before entering the forest, in search of the Roman baths. We will then follow part of the ramparts, before returning to our starting point. During the visit, we will be accompanied by Andrea Schaer, the head of the Ancient History and Roman Archaeology Department at the Archaeological Service of the Canton of Berne. Please note that the capacity is already full but you may be able to join us when showing your badge on site. The Opening Ceremony will take place in the French Church, Bern's oldest church which was built from 1270 to 1285. Originally a Dominican monastic church, it has been a place of worship for French-speaking Protestants since 1623. Please note that the capacity is already full but you may be able to join us when showing your badge on site. Welcome reception will be offered in the French Church just after the Opening Ceremony. Lunch service includes sandwich (ham, salami, cheese and/or vegetables), one piece of fruit (apple / pear / banana), one chocolate bar and one beverage (50 cl). Lunches will be served at Coffee tent at Grosse Schanze. Please note that we can offer only regular and vegetarian lunches, but there are other restaurants, take-aways and supermarkets close to the venue which might accommodate your special dietary requirements. The Annual Party will take place at the Bierhübeli, a renowned concert hall in the center of Bern. It has a long history of being a restaurant (since 1729) while currently, it mainly serves as a concert hall or for dance parties, but also includes a lounge and a beer garden. The Party is free and one free drink is included. Annual Membership Business Meeting (AMBM) is an occasion where members can meet the EAA Executive Board, hear and discuss EAA news, strategic planning, financial report, election results and more. Please come and join us there! The MERC Party will take place at the Kornhauskeller, which is the former cellar of a high baroque granary. Small appetizers and three drinks (wine, beer, water, orange juice) per person are included in the price. The Annual Dinner will take place at the Gurten Pavillon which provides the ideal surroundings to combine business, pleasure and culinary highlights. This one-day excursion through the Lakes of Bienne/Biel and Neuchatel will focus on the prehistoric pile-dwellings, classified as UNESCO World Heritage. What archaeological heritage lies under the surface of the lakes? How do we make this underwater heritage visible? What technologies are used? What are the challenges of the conservation? How does the discovery of pile-dwellings contribute to the archaeological research? ?And, what are the current challenges of the valorization to the public? The conservation of the organic remains is exceptional and allows us to understand the daily life of prehistoric populations living by the lakes. This one day excursion targets two medieval towns at the gateway to the Bernese Alps: Thun and Spiez. These two towns border the Lake of Thun and are located at the feet of mountains rising up to 13 000 feet. The view is breath-taking! The excursion will start with a tour of the old town of Thun and its castle. We will then take the boat from Thun to Spiez. The second part of the day will be devoted to the town of Spiez. During the whole day, participants will be guided by the expert in medieval archaeology, Dr. Armand Baeriswyl. Then we go to Spiez, an old harbour bay on the Lake of Thun, where an unknown early medieval chieftain built a church, which was replaced around 1000 by a small but very beautiful three-nave basilica in Lombard Romanesque style. Finally we visit the nearby Spiez castle with its Late Medieval residential tower and the beautiful park, from where you can admire the lake and the Swiss Alps.